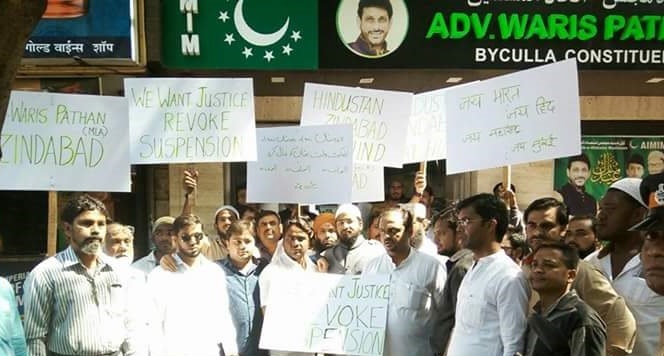 Mumbai: All India Majlis-e-Ittehad-ul Muslimeen legislator Advocate Waris Pathan was suspended from Maharashtra Assembly after he refused to say ‘Bharat Mata Ki Jai’. 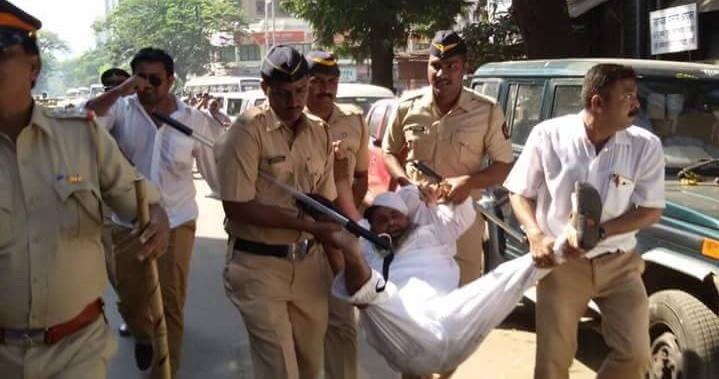 The Minister of State (Parliamentary Affairs) Ranit Patil had moved a proposal for suspension of Pathan’s membership for the duration of the ongoing budget session. The house approved the proposal. 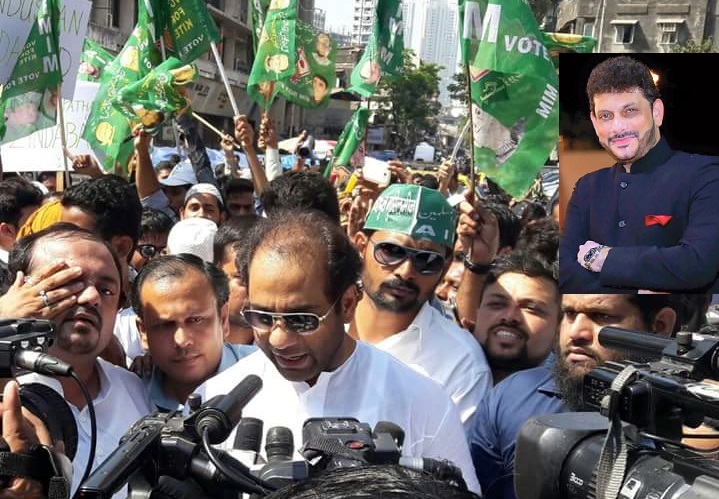 The AIMIM Mumbai President Abdul Rehman Patni and General Secretary Aabid Sayyed with party workers and supporters staged a peaceful protest against suspension of Mr. Pathan. 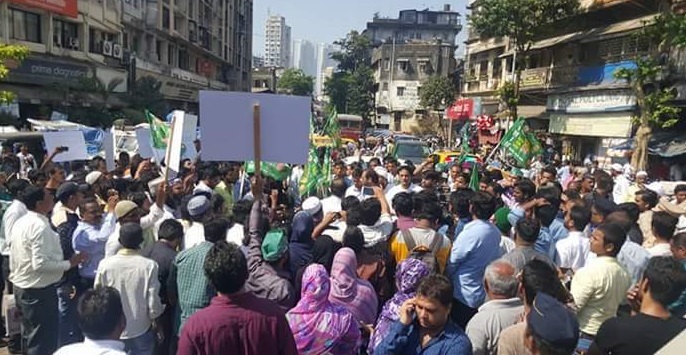 The protest was held at Nagpada in South Mumbai during which thousands of party supporters shouted slogans “We Want Justice” and “Revoke suspension of Waris Pathan”. 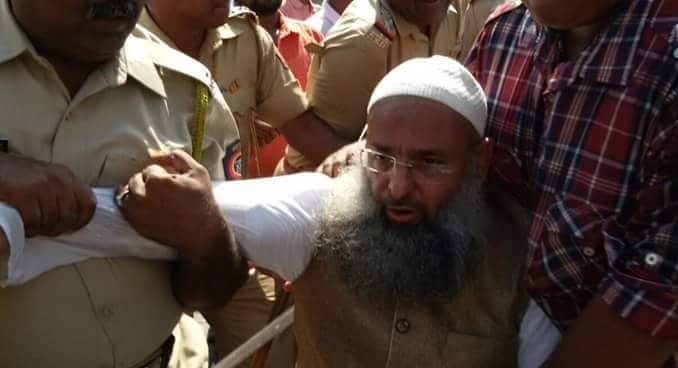 Sr. AIMIM Leader Haji Abdul Hamid and Rafat Husain arrested by nagpada police during protest. “Waris Pathan’s suspension is totally injustice and his suspension should be revoked immediately.”, Patni said.